When you think about your dream bedroom, what do you think of? 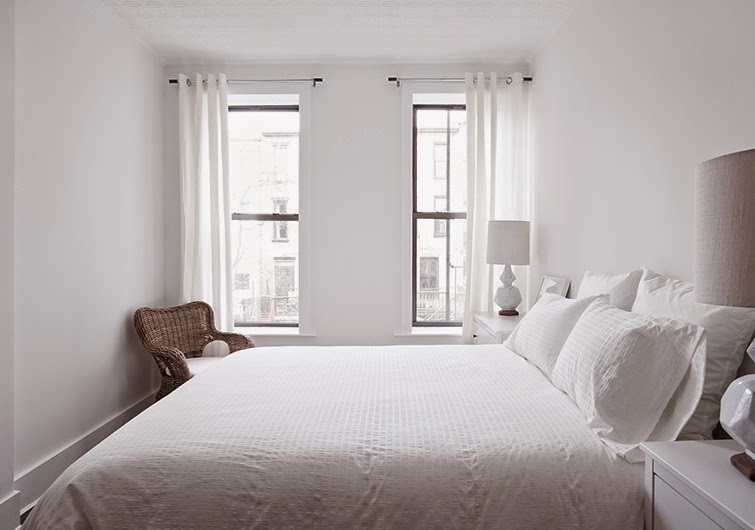 I find that I am drawn to those ultra serene, calm and relaxing rooms - the mostly white ones with minimal furniture. But when I think about my style, and what I am drawn to, as a lover of design I'm forced to ask the question: where is the personality? I believe that a room should have soul, and your design choices should reflect your personality and personal style. This bedroom is beautiful in it's own way, but who lives here? What story does this room tell? I love how calm this room is, but if this room was a person, I don't think I'd like to sit next to them at a dinner party. There are definitely elements here that I can appreciate, but it feels more like a hotel room rather than a home to me. In reality, my style and what I am striving for in my bedroom is serenity with personality. I think there can be different scales of this - from a more subtle showing of your tastes to a more colorful and noticeable expression of personality. What you find to be serene can mean something entirely different than what I think is calm and soothing, but nevertheless, serenity comes when you're comfortable and being true to yourself in your decor and design choices. 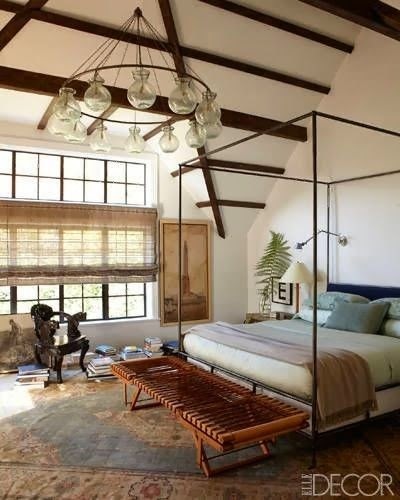 So - how does one go about achieving a serene bedroom with personality? I recommend starting with good quality, simple basics, and layering in elements of personality as you go. ONE: Parachute Home bedding - Good quality bedding is the most important foundation you can start with in the bedroom. 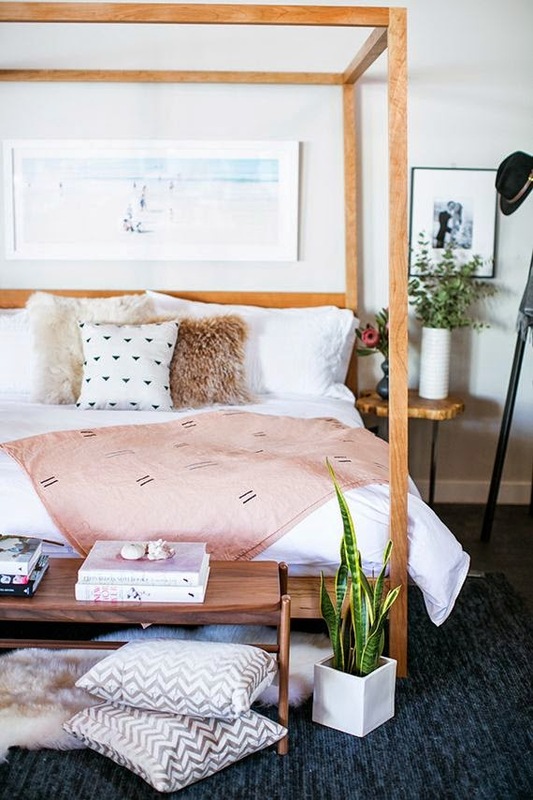 Parachute Home has a great concept - they design their bedding in Los Angeles, manufacture in Italy, and sell directly to you, enabling them to create a higher quality product at a reasonable price point. They also cut right to the chase - their 'venice' bedroom set includes a duvet cover, fitted sheet, and pillow cases only - no pesky top sheet which makes it much easier to make your bed in the morning. With two fabric choices: percale or sateen, you can choose which feel you like most; a cool, soft, and breathable texture, or a more luxe, slightly warmer sheen on your sheets. TWO: West Elm mid-century nightstand - I admire people that can live with no storage nightstands, but my reality is different. I need drawers to keep things like moisturizer, lip balm, etc. out of sight for a less cluttered surface. THREE: CB2 swing arm brass wall sconce - Great, soft lighting is a must in the bedroom. I just got these sconces and love the sophistication of the brass with the modern shape. The swing arm means you can direct light where you need it and as a wall mounted sconce these save precious space on your nightstand. FOUR: Quay zigzag pillow - a subtle contrast of green is the perfect accent to the whites, blues, and grays in this room. FIVE: West Elm Mongolian lamb pillow - this neutral pillow adds great texture to this combo. SIX: Urban Outfitters dabu printed pillow - this faded look is perfect for mixing patterns and complements the other hues of the room quite well. SEVEN: West Elm nailhead upholstered storage bench - this is a great addition to the foot of the bed. I have this in my bedroom and love the simple design that also doubles as great storage. EIGHT: Herringbone tassle trim throw - I love clean, white bedding, but also like to add a little contrasting color and subtle pattern to a bed with a pretty throw blanket and fun tassels. NINE: Surya denim rug - I love the look of denim jute rugs; the pattern is subtle but present and the denim adds a subtle texture without the look of a high pile rug. TEN: Harry Stooshinoff print - No room is complete without artwork, and this print with blurred lines and muted color palette adds intrigue without being overpowering. TWELVE: Nate Berkus for Target basket - store extra blankets, magazines, etc. to keep clutter out of sight for a peaceful state of mind. THIRTEEN: Crate & Barrel lila curtains - this subtle pattern on airy fabric adds a playful touch, while still blocking out some light. FIFTEEN: Maison Louis Marie No. 09 Vallee de Farney candle - Part of creating a serene space is making sure that you can relax in it. Subtle things like a wonderfully scented candle will help you achieve that calm and relaxing atmosphere. SIXTEEN: Terrafirma oval plate - I love this dish for corralling jewelry and other trinkets to keep your nightstand essentials looking intentional rather than like obligatory clutter. What sort of style do you like in the bedroom?